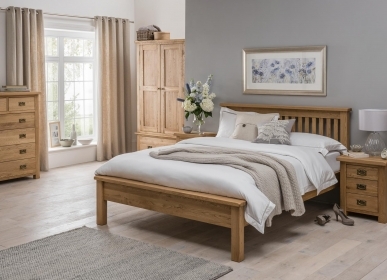 Combining charm with the strength and durability of the purest American White Oak, the Country 3 over 4 chest is a stand-out feature in any bedroom. Curved metal handles add to its elegant appearance. 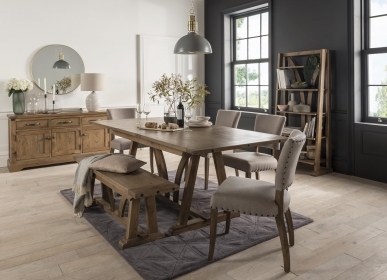 Dovetail jointed drawers and tongue and groove backs and bases make this piece of furniture resilient and long-lasting. 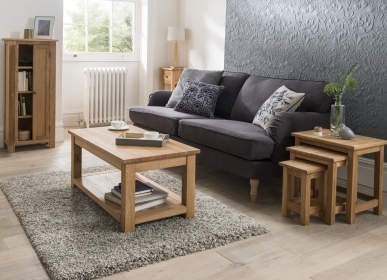 The 3 over 4 chest is typical of the country collection, strong and stylish, practical and durable.